It has to be Abbottabad. Somewhere you’d never refuse to eat? Someone you’re always ready to hang out with? Best place for some retail therapy? Either Hafeez Centre or Hall Road. Your favourite chill out activity? Hanging out with my kids and watching a movie with them. Your best and worst vacation memory? Best was when Mandana and I went to Norway; we saw one of the most beautiful islands over there. Worst was when I forced my parents and Nana to go to India and we stayed with a person whom we did not know so well; we were all miserable and it was a bad idea to go there. Best and worst part about travelling? Best is every once in a while you come across a person who becomes a very, very good friend. Worst is flying out and the waiting periods which get problematic for me. If you were to stay in any location forever, which one would it be? Some kind of a tropical island – a place where I can be next to the beach and the weather never gets hot or humid. All my electronic gadgets: my laptop, headphones (lots of extra headphones for sure), chromecast (although I never get to use it), medicines, calendula, toothbrush and a pair of clothes just in case my luggage never gets there. A place you would like to visit next? Has to be Nairobi or Bali… Nairobi actually. Published in MAG THE WEEKLY, February 16th, 2017. As I listen to the tape of my conversation with Noori brothers Ali Noor and Ali Hamza, who front and form one of Pakistan’s most cherished and still active music groups, what’s instantly palpable is that they refuse to conform to the norm and remain unpredictable. While most artists who started out around the same time as Noori have either turned to acting in TV, films or both or have split up or split their focus to other facets of the entertainment business, for one reason or another, Noori remain a loveable anomaly who are still making their brand of music, presenting rock permutations that go beyond riffs and rage and weave a musical narrative that is both personal and national. 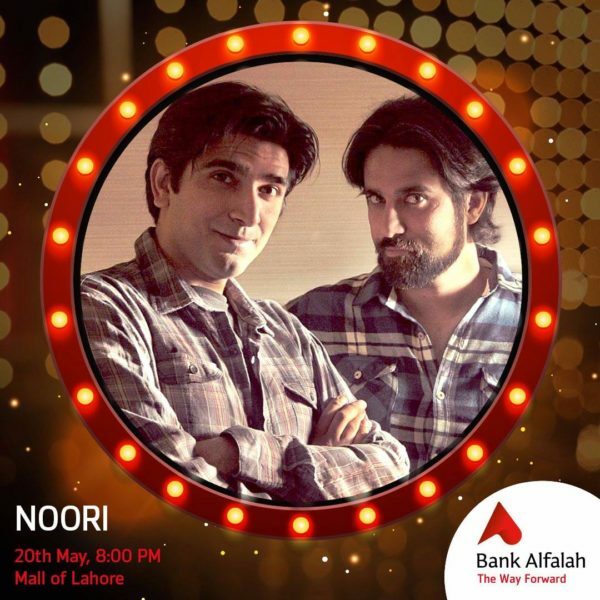 We meet on Sunday as Noori carve out precious time from their ongoing Punjab tour to come to Karachi for a whirlwind 24 hours where they not only met with the press but also gave fans in Karachi a chance to see them in action (alongside Sara Haider) at a popular mall. Meeting at a PR agency’s office on a warm afternoon, I’m greeted by a mostly deserted office barring a few individuals. The lethargy of Sunday, however, quickly vanishes upon meeting the band. Inside a room, lit brightly, brothers Noor and Hamza sit, dressed casually in jeans, t-shirts and Noor sporting a hoodie jacket, greets me warmly and with a hint of nostalgia as we reminisce my first interview with them, in Karachi, which happened almost a decade ago on the heels of the release of their second studio album, Peeli Patti Aur Raja Jaani Ki Gol Dunya. When you meet Noori, you instantly feel invigorated not just by how passionate they are about what they do but also because they have this inherent ability to make people feel involved and connected. Whether it’s the fans or other artists or even a commissioned corporate/brand related project(s) – it is this quality that sets them apart from other entities. I take out several sheets of paper, inundated with questions and they laugh heartily before quickly agreeing to answering as many question as I want. It’s a far cry from PR-coordinated interviews where ordinarily the questions often don’t veer away from one particular topic or occasions when artists remain reticent and inch away from saying anything about what matters most to them. Part of it is weariness induced by the cycle of persistently talking to the media but Noori thankfully show no signs of jaded cynicism. Long story short, we want to cultivate a brand new listener base and take out lots of new songs,” says Noor. “When I say cultivate I mean listeners who take out time to listen to a song/record and not while you’re using Facebook and playing it on the side. As we open our conversation from their most recent effort, a song that serves as the soundtrack to a beauty supermodel contest, Noor and Hamza admit that they agreed to do the project mostly because the idea behind it is to appreciate beauty in the mundane, and inculcate the simple but powerful belief that ordinary people are beautiful; it also speaks of internal transformation. In this day and age of photo-shopped images, Noori’s approach to the project is certainly important. Having collaborated with Sara Haider on the said song, our conversation invariably moves to women in music and Noori, who have worked with several artists this year including not just Sara Haider but also Momina Mustehsan, Quratulain Balouch and many more, maintain that the current crop of women working in music are exceptionally hardworking. “Sara Haider is very driven and she wants to learn a lot and she’s very serious-minded. Not just her but Rachel (Viccaji) and Zoe Viccaji,” says Ali Noor, a rock god who can be outrageous one minute, laughing infectiously, and sober the next with ease. The year 2016 has been a significant one for Noori. Picking up the LSA Best Album trophy for their third studio album, Begum Gul Bakaoli Sarfarosh, which released last year to critical and commercial acclaim after a gap of a decade, they’ve been working with the kind of regularity that is rare for a mainstream name. A remarkable stint on Coke Studio as music directors, three original songs accompanied with music videos via Cornetto Pop Rock plus a gorgeous Indo-Pak single collaboration and the revival and reinvention of BIY Music, the brothers are in a space where they are not only enjoying creating music and playing it out for fans any and every chance they get but one which allows them to shape a vision and their place in the sometimes fickle world of music. And as always, their loyalty lies with the fans; the ones who stand in line to get a CD signed or like the gaggle of giggling girls who were hoping I’d introduce them to the band as I was walking one step behind Noor and Hamza at a Mall when we met in Karachi last summer to talk about their new record, which the brothers released in a classic DIY effort that they’ve become known for. I tell them what I’ve said in other Noori stories before: it’s been a monumental year for the band and the amount of original work they’ve done including their smart tackling of Coke Studio as music directors, is worth infinite applause. I press on about the collaboration with Ali Azmat, a song called ‘Dildara’ that is both endearing and iconic. “Ali Azmat changed Ali Noor,” laughs Hamza. “I think the real thing that’s happening in all this is the changes that are coming from within us,” confesses Hamza. “There’s a strange karmic thing going on,” says Noor introspectively on the monumental year they’ve been having. As the conversation shifts again and I ask the brothers about their ongoing Punjab tour that is organized by Punjab Group of Colleges and is taking them to Okara, Bahawalpur, Multan, Faisalabad, Sargodha, Gujranwala, Gujrat, Sialkot, Islamabad and Lahore, the emotion in the room changes. “You know how you have tours abroad, it’s like that,” says Noor. “The shows start on time, the audience is in place and the girls make the ultimate audience. The irony is that this audience goes neglected. The shows that we as an urban audience can take for granted in bigger cities like Karachi and Lahore are a revelation to people in other cities. And Noori know it too. To them, the tour has led to the opening up of another world, a whole new horizon full of dedicated fans and this audience will, in all probability, earn more chances to see the band in the future. “No matter whom I listen to, they have something,” says Hamza. Aside from doing their own music, Noori have also revived BIY Records, now known as BIY Music, through which they released their own album BGBS last year and through which others hope to follow suit such as one Haroon Shahid of SYMT-fame. “Everything is being dumbed down,” says Hamza. To Noori, numbers don’t mean too much. They neither have millions of fans on Facebook nor do they care too much about digital statistics. “You’ll die as an artist if you look at numbers, trust me,” says Hamza. And unlike a lot of other artists in the spotlight, Noori are not trolled online or receive abusive messages. “Once in a blue moon,” admits Hamza. Noori fans are only angered when they think the band is doing commercial things. “We get hate-mail on doing commercial stuff but I think that number is small.” Noor says. As we come to the end of the interview and only because of my realization that others are waiting in line to interview the band, Noori brothers confess that aside from the band’s revitalized return, they aim to diversify, create different spaces filled with different styles of expressions, pursue solo projects while keeping the promise of Noori alive. 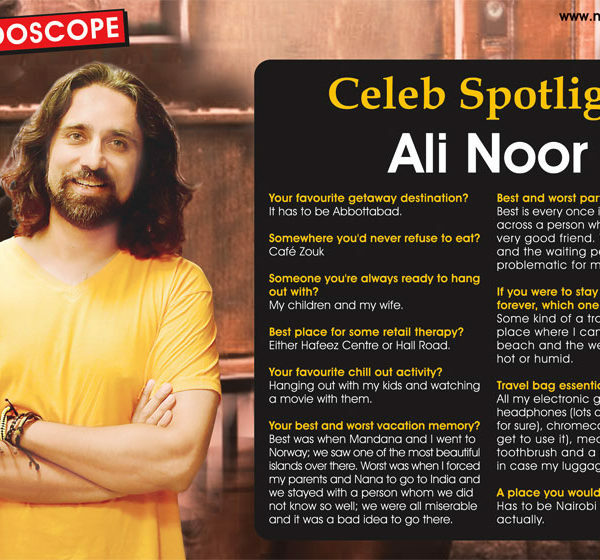 “Noori is now going to fly in terms of creative ideas,” says Noor on a parting note. And given their recent track record, we, as longtime fans, can only say encore. Published in The News, November 20th, 2016.